Nifty opened flat to negative, and stayed in a range of 40 points for the full session making a high around 6332, but closed flat at 6307.20, a gain of 8.05 points. And the highest all time weekly close till date. The broader market was strong, with 878 advances to 483 declines. OI table now has support around 6200 level. 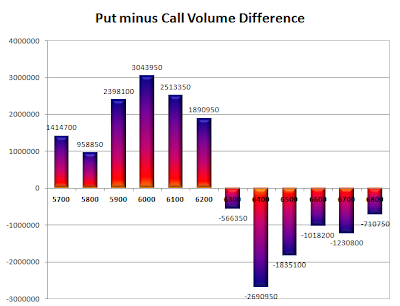 Call option 6300-6800 added 26.94 lacs huge amount of OI with small short covering seen at 6200 and lower strike prices. Put option 6400-5800 added 38.08 lacs huge amount of OI. Nifty Open Interest is at 2,30,93,600 up by 63,700, with increase in price, most probably small long build-up. 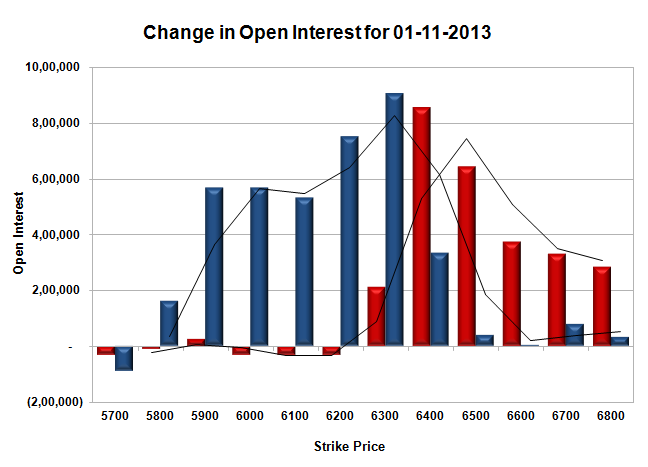 Bank Nifty Open Interest is at 17,21,375 down by 14,575, with increase in price, most probably small short covering. FII’s bought huge 7.81 lacs Futures, mostly long build-up, as their net OI increased by 8334 contracts (includes 61392 longs and 45772 shorts for the day) and the average price per contract comes to around 6302.61. FII’s future open contract as on date is 510561. PCR Open Interest (Volume) has increased to 1.320. 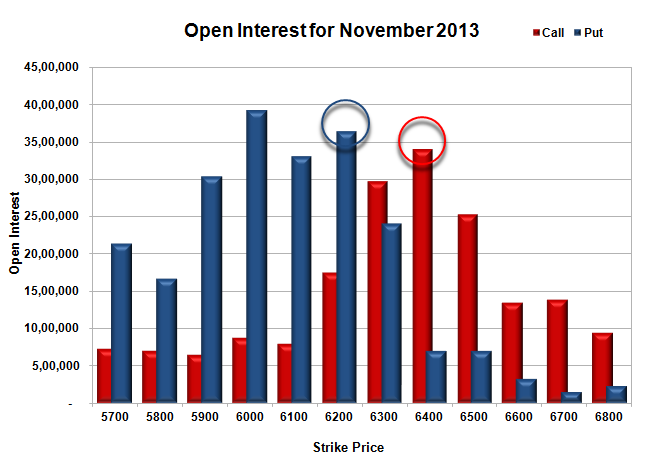 Support got better at 6200, with huge OI of 36.40 lacs, below that at 6100, with OI of 33.06 lacs. Best Resistance at 6400, with OI of 33.99 lacs and above that at 6500, with OI of just 25.34 lacs. 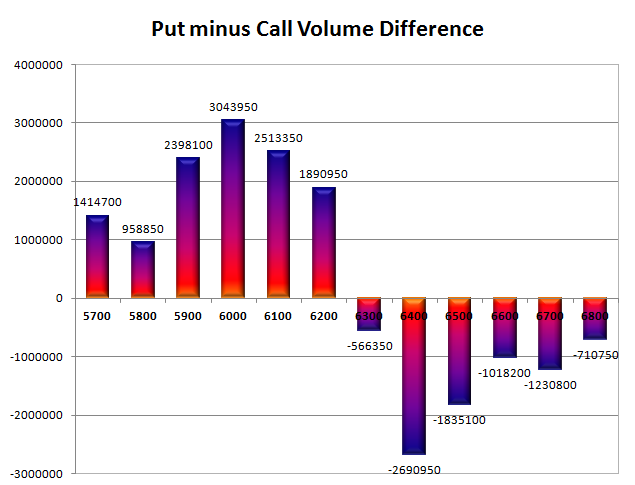 Day Range as per Option Table is 6249 - 6367 and as per VIX is 6246 - 6369 with 6309 as the Pivot.